Join us for an informative trip around our Brewery & Bottling Hall. 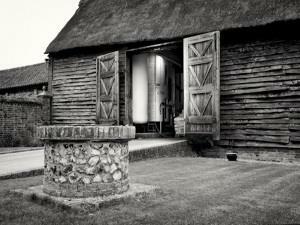 Discover the story of St Peter's Brewery and the process of brewing our crafted ales. Tours include a tutored beer tasting in our Visitors Centre & a free bottle of beer, of your own choice, to take home. They are held on Saturdays and Sundays 3 times a day: 11am, 12.30 and 2pm at a cost of £10.00 per person. Group bookings also available during the week, please call for further information. (Open 7 days a week) our visitors shop stocks the full range of St Peter's beers and ales, as well as other merchandise and a range of other local produce. Open Monday to Friday 9-5pm. Saturday and Sunday 11-4pm. Brewery tour £10.00 including a free bottle of beer to take home. From Ipswich A12 to Darsham, turn left towards Halesworth, then A144 to Bungay, take 2nd left to Ilketshall St Margaret. Go through that village and stay on this road, we are on right hand-side about 2 miles out of the village. From Diss station it is 15 miles to St Peter's Brewery and Visitor Centre.